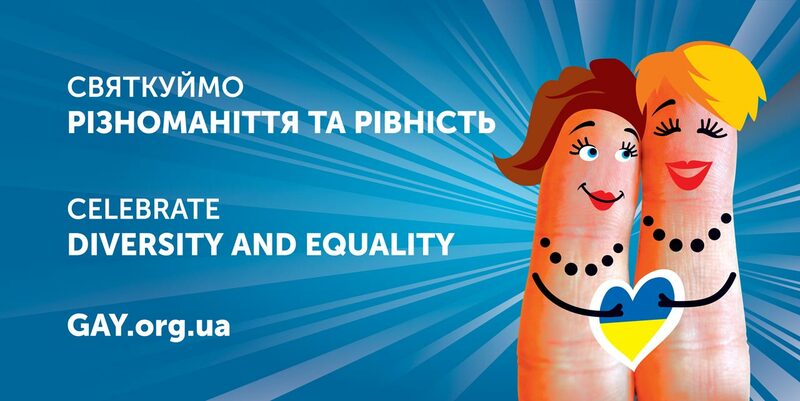 Celebrate Diversity is the official slogan of Eurovision song contest 2017 that very soon will be held in the Ukrainian capital. 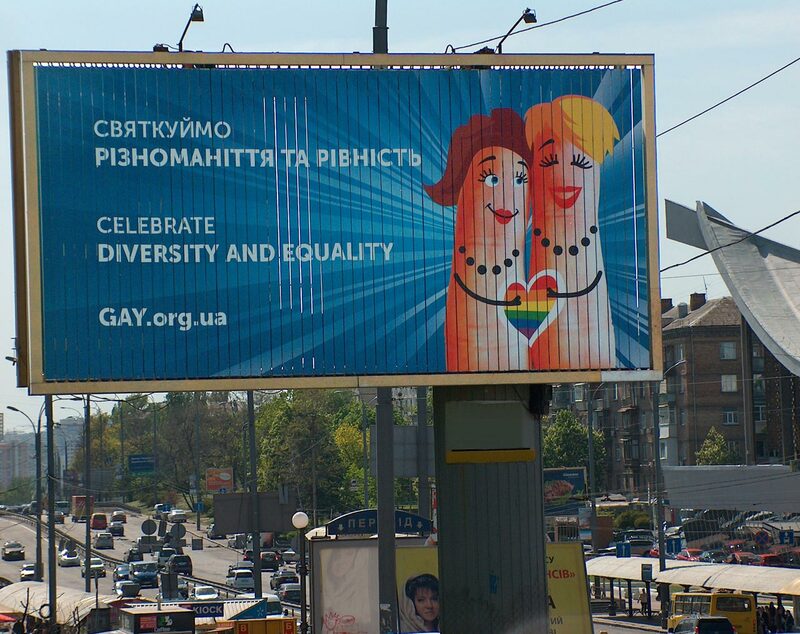 Celebrate Diversity and Equality – Is what LGBT Human Rights Nash Mir Center is calling the much anticipated international event – on its May billboard announcements on display already in welcoming Kyiv! 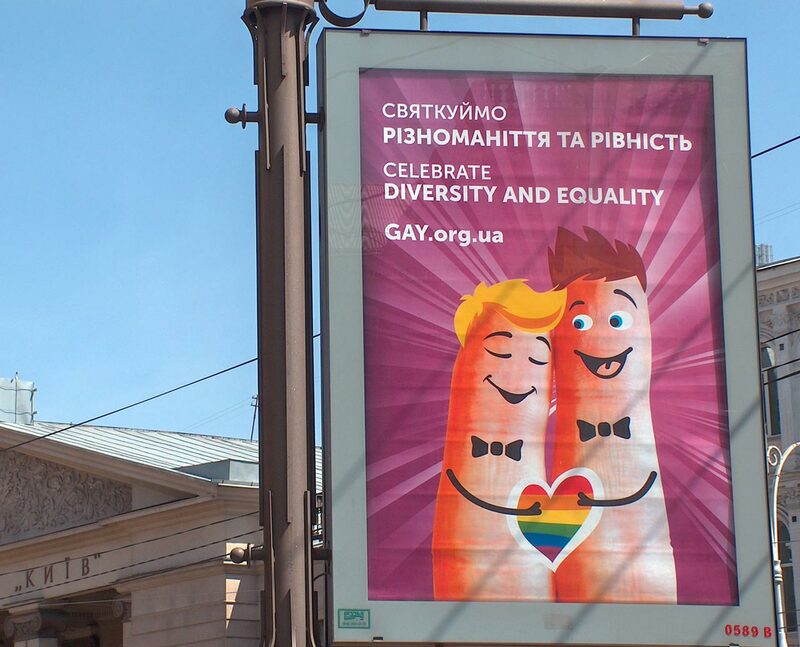 The billboards’ purpose is to draw closer public attention to the situation of LGBTI people in Ukraine – often facing manifestations of homophobia, transphobia, discrimination, and hate crimes. After the historic uprising known as ‘Euromaidan’ – the mass public protests in 2014 against the pro-Russian politics of former President Yanukovych resulting in the ‘Revolution of Dignity’ – the Ukrainian people made its final choice for integration with modern Europe. This choice was even more crucial for the LGBTI community throughout the nation because it sparked real changes in public attitudes and state policy towards LGBTI Ukrainians. That evolving process of changing attitudes continues (though occasionally slow and problematic) calling for and deserving wide support. Welcome to Kyiv, Eurovision fans and new visiting friends! Let’s celebrate diversity and equality together!